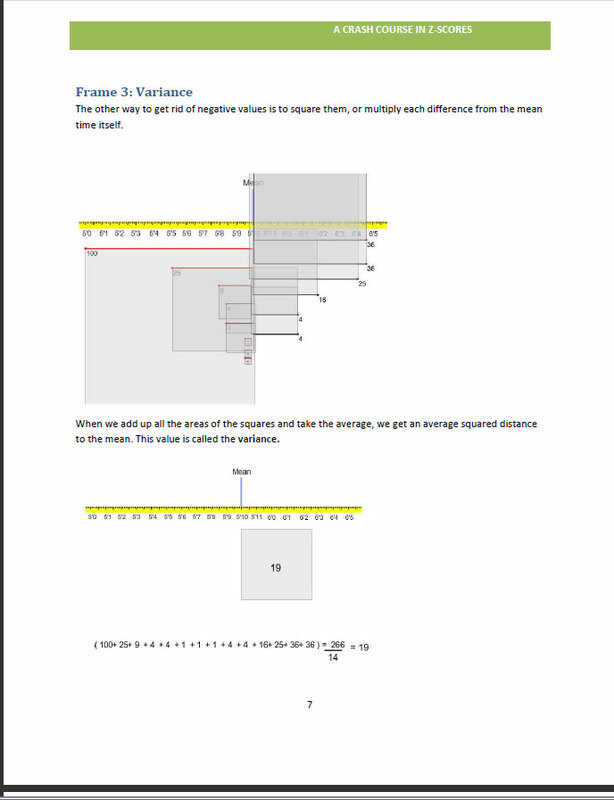 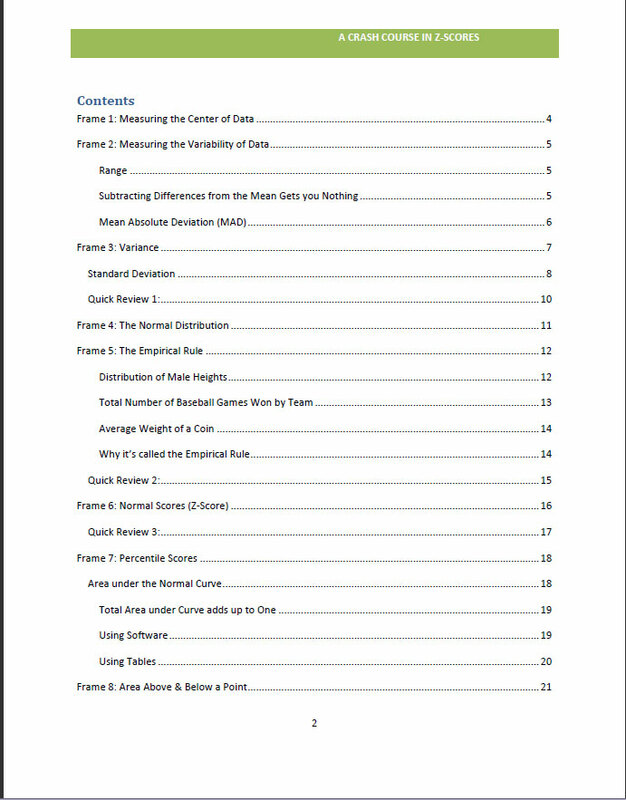 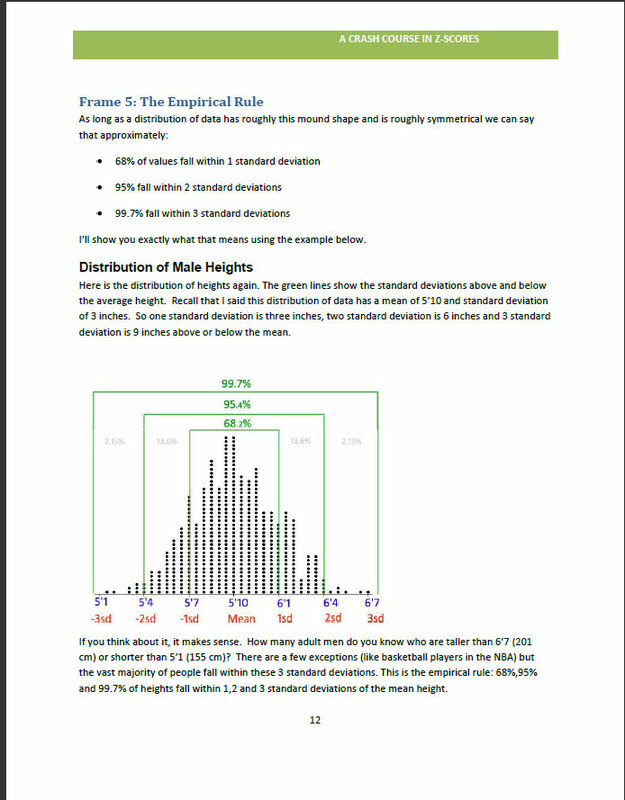 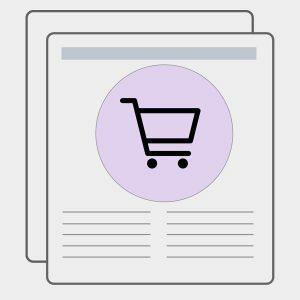 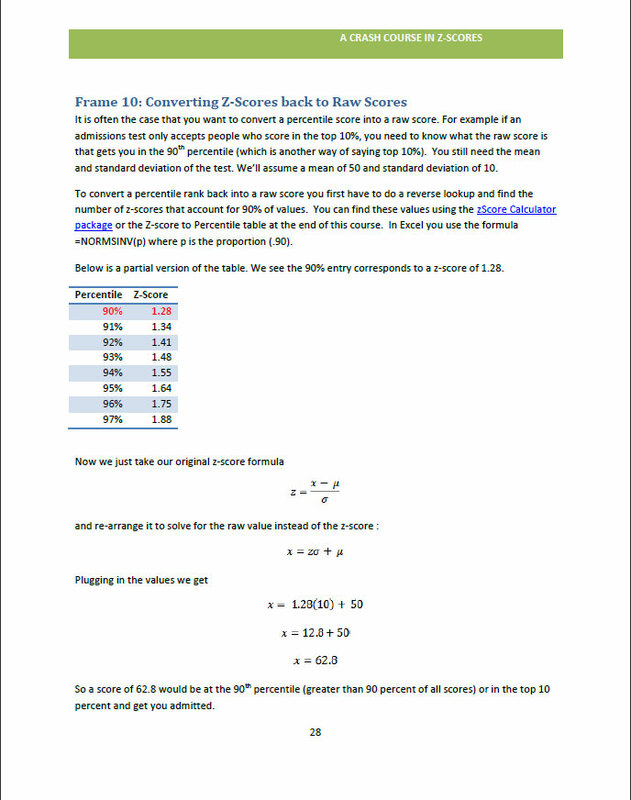 A complete and concise 51 page tutorial on how to compute, interpret and use of one of the most important concepts in statistics: z-scores. 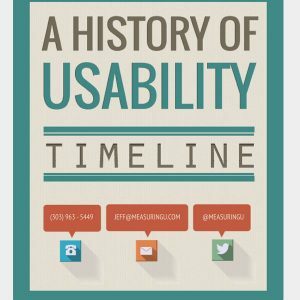 This crash course includes dozens of pictures, review questions and two full z-score look-up tables. 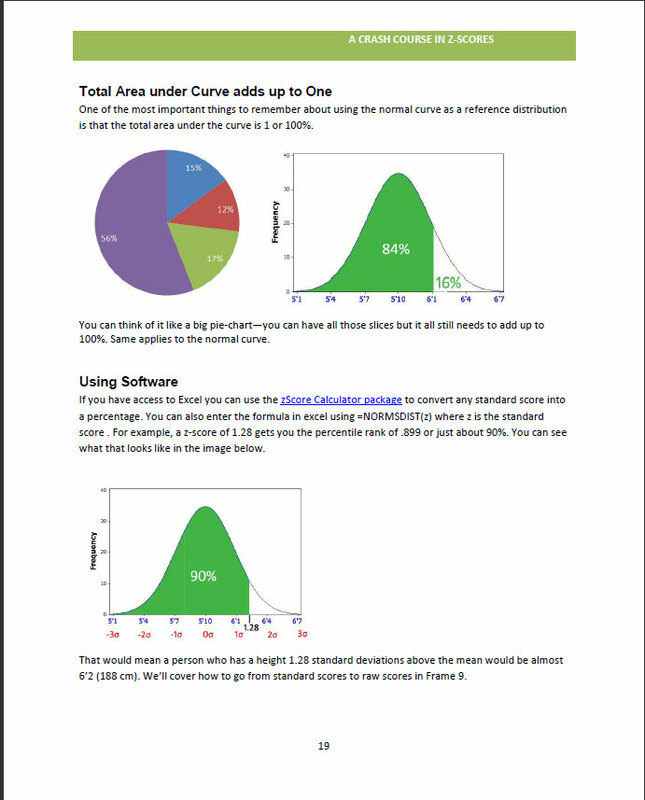 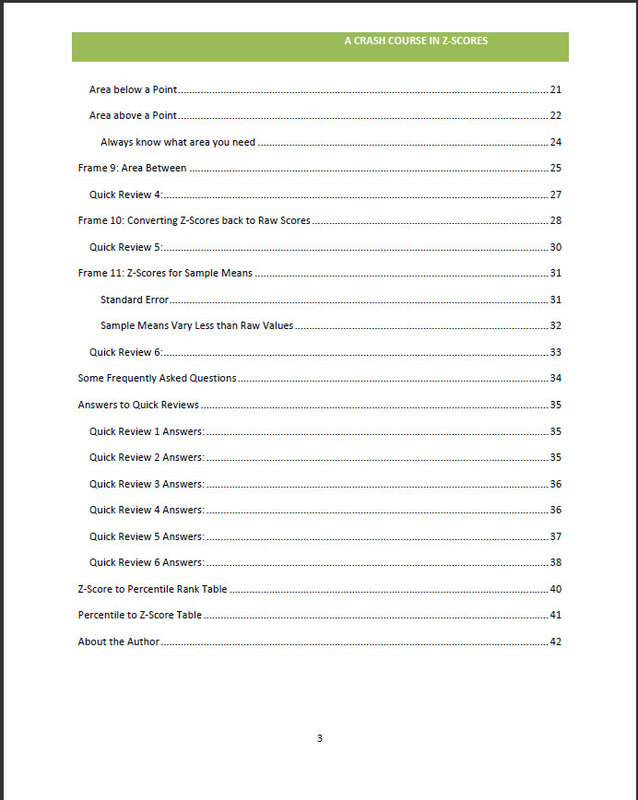 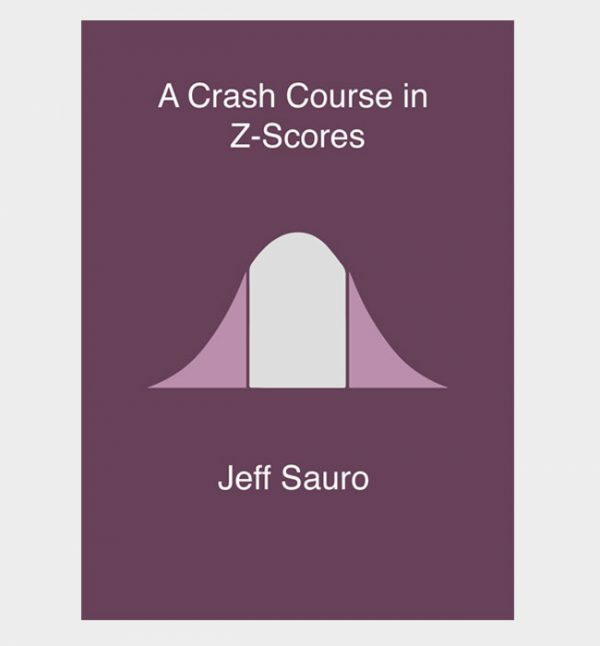 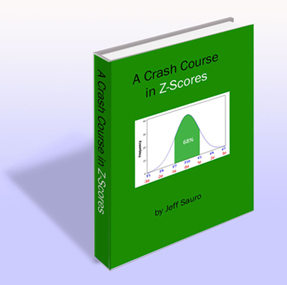 This is an electronic (downloadable) copy of the Crash Course in Z-Scores.